It’s that time of year again, with the annual Illawarra i98FM Convoy for Kids held last Sunday in support of Camp Quality. Whilst it is an event our company continues to support as the fleet grows, the real praise belongs to our team. Our drivers, many who are fathers themselves….organise it all by raising donations, attending on the day and of course put in hours of time making the fleet shine. We also acknowledge our customers, as without your support of our business; we could not support Camp Quality and this great day to raise much needed funds for the kids. Our team achieved just shy of $24k, so a BIG THANK YOU for everyone’s donations and collective care for the cause. 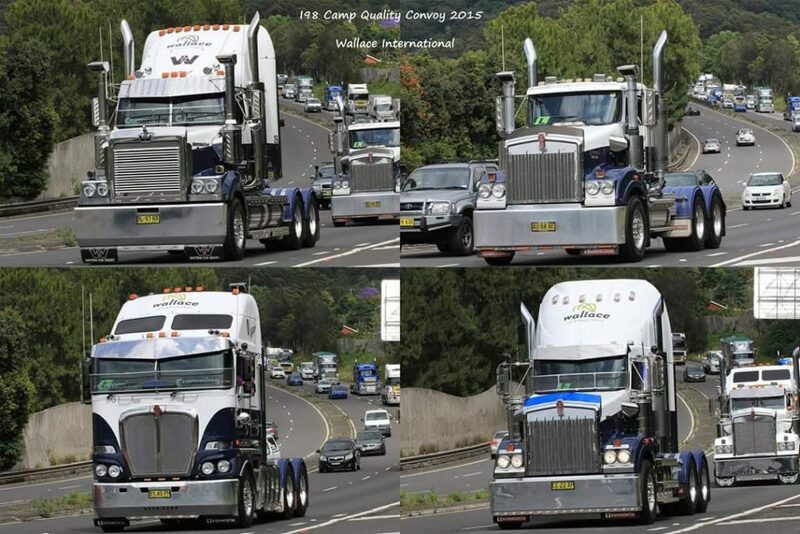 All participants in this years Convoy reportedly raised $1,725,057 in total. Copyright 2019 | Wallace International Pty. Ltd.